This has the chance to be one of the most entertaining first round series because I really believe the Nets match up well with the Hawks at all five positions. That being said, I don’t give my Nets much of a chance to actually win the series. The Hawks are really that good people and will be very capable of winning playoff series even if they don’t have a “go-to” guy. This is the game on right now as I write this, and wow does the North get hyped for playoff games. Toronto has such a great atmosphere that will make it hard for teams to steal a game on the road. 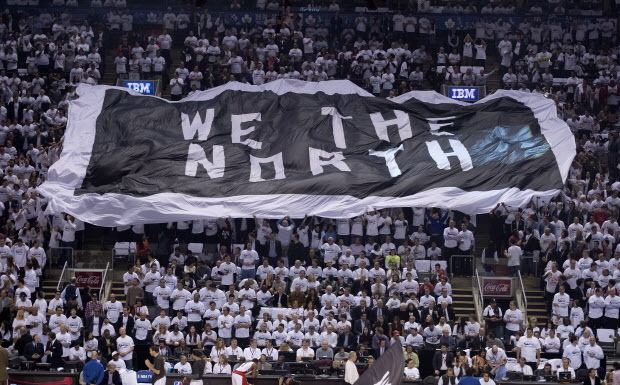 The Raptors are back after last year’s first round playoff exit against the Nets. 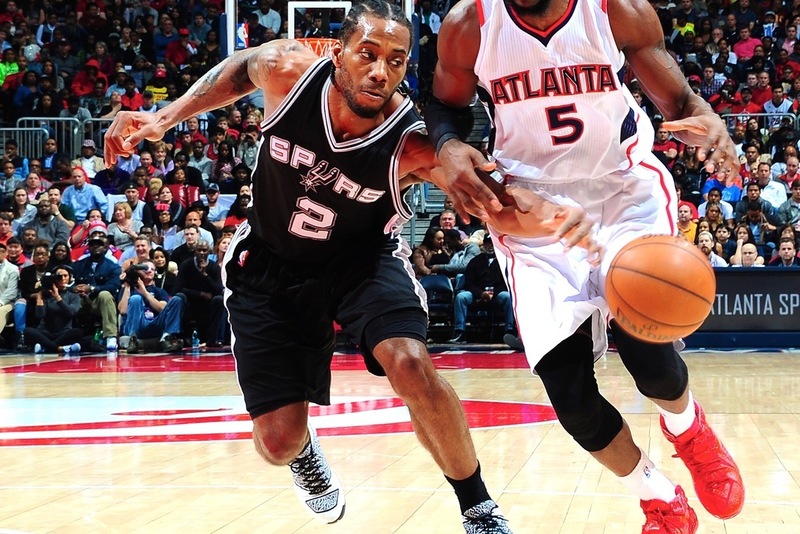 Saying the Wizards have limped into the playoffs is putting it nicely. I really don’t see a way the Wizards get more than two games in this series, setting up a great second round matchup between Toronto and Atlanta. I think it would take an Eastern Conference Finals appearance for Randy Whitman to keep his job after the season, so I am kind of secretly hoping change occurs this offseason. I want to see how good this Wizards team can be when they have the right coach. This is another one of those series that I think can only go one way: the Bulls should take care of the young Bucks quickly. This will be a great for a young Milwaukee team to experience the playoffs, but I don’t think they have much of a change against a very good defensive team in Chicago. This should bode well for the Bulls to get some time on the court together and get on a little role before facing The King in the next round. I love what President Brad Stevens is doing up in Boston as Bill Simmons calls him, but unfortunately this Celtics teams is so under matched in this series they really don’t stand a chance. The question is not who will win, but can the Celtics even win a game? I think they do get one at home, but that’s it. 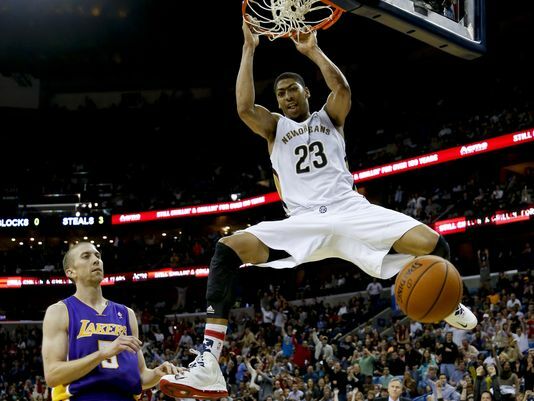 I am really glad Anthony Davis will get a chance to get on the national stage and show what he can do. I still find it hard to believe anyone hasn’t heard of The Brow, but I guess I’ll take people’s word for it. I do agree with the idea that Davis isn’t actually as good as his numbers say he is, particularly the analytic stats he puts up. A PER over 30? That’s crazy and to think this kid (he’s 22 years old) is only going to get better is scary. All that being said it’s going to be really tough for the Pells to get two games this series against a very, very good Warriors team. It will still be must-see TV. I really liked Portland coming into the season, I really did. And it broke my heart watching Wesley Matthews go down with a torn achilles, knowing their championship aspirations went down with him. This team is too banged up. Speaking of banging the Memphis Grizzlies have been hovering (a nice way of saying they have been playing average basketball the past month) and I expect the Grizz to get some momentum going against this Blazers team. Health the is the key word in this series, and if Mike Conley and Tony Allen can get on the floor the Grizzlies should take care of business. Ahh, yes. The series everyone wants to talk about. That’s whyI’ll keep it short. Chris Paul has a chance to will this team past the Spurs, but I don’t see that happening. The Spurs have been the best team in the NBA the past month and they are playing their best basketball at the right time. It’s unbelievable what this team can do. If you think the Spurs are going to lose at all I think you’re crazy, but in a game seven in L.A. anything can happen. Be ready for some Hack-a-Player and don’t be mad its happening. Be mad that its a legitimate strategy because professionals can’t make FREE throws. All I have to say is Kwahi Leonard gets no credit for how good he really is, which seems like its totally fine with him. Go, Spurs, Go! Everyone is counting out the Mavs, but don’t forget how well coached they are. Rick Carlisle is a top 5 coach in the entire league, and will have his team ready to play against the fighting James Harden’s. There will almost definitely be some Hack-a-Player in this series too (you can thank Josh Smith and Dwight Howard). I don’t think the Rockets will play Hack-a-Player with Rajon Rondo because he will be ready to make those free throws no matter what his percentage is this season. Rondo is going to come ready to ball. I have been saying for while Josh Smith and Dwight Howard won’t be able to be on the floor together late in playoff basketball games simply because they will be too easy to defend. What’s the over-under on the number of head-scratching threes Smith takes this series? The Rockets backed into the 2-seed after playing some non-impressive basketball the last couple weeks of the season. This will be one of the most entertaining series to watch, so get your popcorn ready! 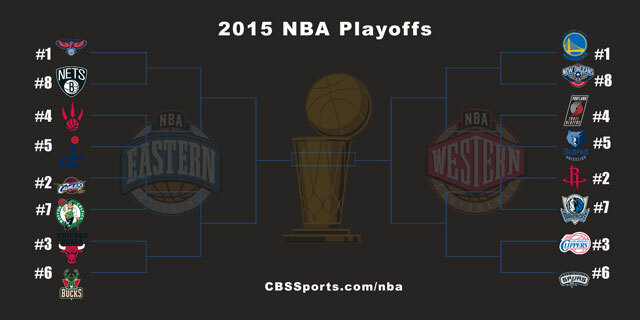 This entry was posted in Home, NBA, Playoffs / The Finals and tagged 2015 NBA Playoffs, Anthony Davis, Atlanta Hawks, Boston Celtics, Brooklyn Nets, Chicago Bulls, Cleveland Cavaliers, Dallas Mavericks, Eastern Conference, Golden State Warriors, Grind House, Houston Rockets, Los Angeles Clippers, Memphis Grizzlies, Milwaukee Bucks, NBA Playoffs, New Orleans Pelicans, Portland Trail Blazers, San Antonio Spurs, The Brow, Toronto Raptors, Washington Wizards, We The North, Western Conference. Bookmark the permalink.